You’ve no doubt been hearing a lot about the GDPR lately. ICYMI, it’s very important. IMHO the GDPR could use an FAQ. We are going to keep it simple and emphasis just three important points. * The changes we have made via our system updates are not just for our customers in the EU but apply to all our customers worldwide. Let’s have a look at the super fun choices you can now opt-in to receive going forward. Springshare Newsletter – This is chock-a-block full of Tips and Tricks designed to help you get the most out of all our solutions. There are featured stories written about current Springy product highlights like this one on Creating Digital Library Storefronts with LibCal’s new Equipment Booking module. You’ll get the inside scoop on Recent and Future Updates like these UnBOOlieveable ones from a Halloween issue. Each issue is essential and exciting…like a map at an amusement park! Promotions, New Products & Special Offers – Never miss out on learning what’s new at Springshare. Whether it’s excellent features that have been added to our existing solutions or being one of the first to hear about a brand new product that’s ready for launch. Plus, promotions and special offers are like real icing on the proverbial cake. Opt-in today! Upcoming Webinars, Online Training & Events – All our clients know that we provide free training and free support. However, it’s not a limited time thing that you have access to for a few weeks after you subscribe to a tool. We create new training sessions often and provide not just basics classes but admin and advanced classes, too. We also promote special webinars targeted to specific user groups like LibCal for Publics or LibAnswers for Academics, etc. And, we love to talk about Events we’re attending or ones we’re hosting like the Brunch & Learn series or our popular SpringyCamp, virtual user conference. Opt-in so you can attend, attend, attend to your mind’s delight. So, before I say TTYL about the GDPR, if you want to continue to LOL or have a case of FOMO, make sure to opt-in to all the Springy Stuff you want, which is timely, super helpful and FUNfessional development. What are you saying? And how? The minute you get out of bed, you have a new day and with it the opportunity to be social, if you choose to be. Though, perhaps, even your choice to keep to yourself all day and not interact with people is still communicating something. Previous generations tried to hammer home the recommendation that you should think before you speak. Today, there are so many ways to speak to each other that we should be thinking all the time about what we’re saying and how. We can go even further to suggest that when and where should also be current considerations. What about why? Well, the why seems to be the same reason throughout time. The why…is to connect. 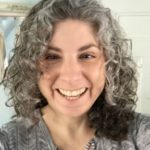 Social Media — Sounds fun, right? The idea behind social media is a really great one when you think about it. You read a good book and you fall in love with it. You tell everyone you run into about it. Excellent. But, now, you also have the option of tweeting about it, posting it on Facebook, shooting out the cover on Instagram, putting it on a Pinterest board, etc. You can share the love far and wide. It’s fun to share. But, what we’re talking about is a bit different — more about cultivating a social media voice. Coming up with a cool game plan and having an entertaining voice. We have some clients doing exactly that. According to a Pew Research Social Media Fact Sheet, all age groups studied from March of 2005 to January of 2018 have shown a substantial increase in social media use. In the 18 – 29-year-old category, the numbers went from just 7% to 88%. So, it stands to reason that Academic Libraries would step up their social game. 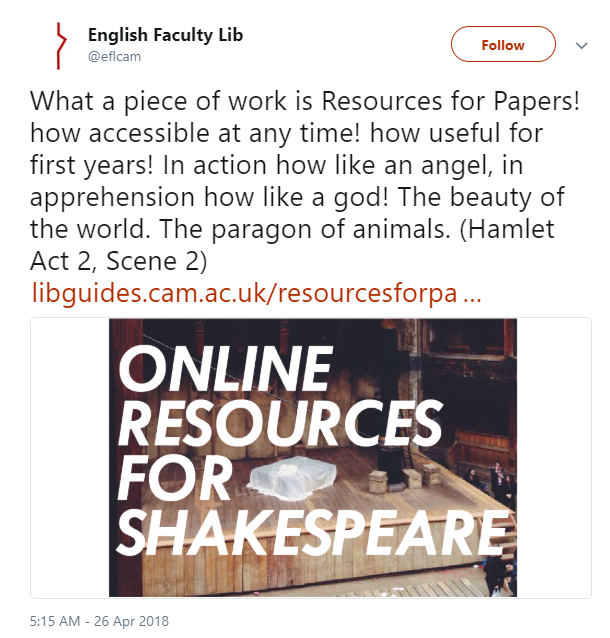 The English Faculty Library at the University of Cambridge sent out a tweet pointing their followers to a LibGuide they created on Shakespeare resources. They’re not the first to build such a guide, nor the first to publicize a guide’s existence via tweet. However, they took a great approach. How much do we want to check out that guide?! Even more, how much do we want to go to that library and interact with those librarians? And, that’s the ticket. This whole action plan makes perfect sense, too. You’ve built these excellent LibGuides and crafted amazing LibAnswers FAQs. You’ve put together LibWizard tutorials and set up Events and Spaces in LibCal. Using Social Media to spread the news about them is a marketing strategy that boosts the usage of the stuff you’ve built and the resources you’ve included within them. Next, the challenge is to be creative. The best way to connect is to listen. The University of St. Andrews Library is fearless and inventive in the way they interact with students. 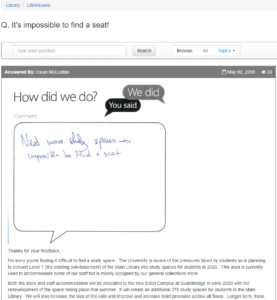 Like many institutions, they have a way for people to write out comments or provide feedback. What’s super is that they scan those comment cards and then create a LibAnswers FAQ out of it. Going the extra mile, they create a tweet with the original comment and then include a link to the FAQ with the complete answer. Additionally, this helps to close the feedback loop. How often have you been solicited for your feedback, only to see it disappear into the ether and go…nowhere. Posting the actual comment cards, with the link to the FAQ demonstrates that solicited feedback was received, discussed, and responded to – even if that response is no. Points for being thorough! Every interaction is an opportunity to show who you are. In a Sprout Social report, it was discovered that — no surprise — people don’t like being ignored. What was surprising was how “…90% of people surveyed have used social in some way to communicate directly with a brand.” Apparently, “social surpasses phone and email as the first place most people turn when they have a problem or issue with a product or service”, according to Sprout’s consumer survey. The University of St. Andrews Library is clearly one step ahead as it takes paper comments and shares the questions and answers with its followers to reach as many people as possible. They’re being proactive in the Social Media world. No matter which channel your patrons choose to use to communicate with you, it’s always a good idea to be responsive. 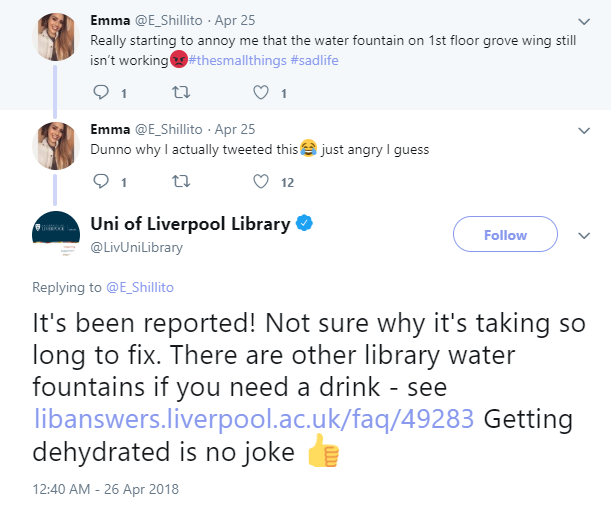 The University of Liverpool Library saw a tweet, that by the admission of the sender, seemed to be a complaint that might not have needed such a public forum. 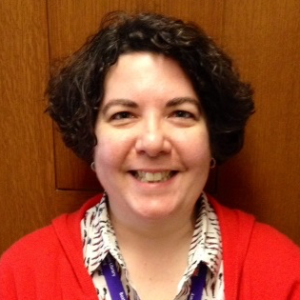 But by using social listening, the library took the opportunity to connect and in doing so, showed not just that one person but all their followers how engaging their librarians are…even when the library wasn’t directly included in the tweet. The library shows it’s listening, even if the outcome isn’t resolved, proactive listening goes a long way to alleviate customer issues. Then they present a LibAnswers FAQ that details the food and drink policy in the library and which identifies where the water fountains are. A spectacular example of the LibAnswers Platform’s ability to have staff entered FAQs come in handy. And to keep their presence light, they add in the bit about hydration – sure to put a smile on the face of their frustrated patron. So, let LibGuides and LibAnswers do the heavy lifting for you. You’ve most likely created excellent content in there. Then pay attention to your Social Media channels for opportunities to interact with your patrons, link to the guides and FAQs that give them all the particulars they need. Consider using LibAnswers Social Media Management with built-in Social Listening to create richer patron experiences, instill a company culture of social listening, and closing the feedback loop. Then enjoy your followers. Have fun with them. Be yourself. Make a connection. We live and breathe libraries, so we know very well how important privacy issues are to you, our clients. Even before GDPR-related conversations sprung (no pun intended 😉 to the forefront, Springshare has always been very careful with handling our customers’ data. We’ve never used customer data for profit or shared it with any third party. We are pleased that the rest of the world (well, at least the EU part of the world) is catching up and valuing user privacy with the same vigor and care as libraries have done all along. The EU General Data Protection Regulation (GDPR) will be enforced on May 25, 2018. We took this opportunity to review our privacy policies, procedures, and functionality to ensure that Springshare – and our client institutions – are in full compliance. GDPR Compliance. Our GDPR Compliance Plan explains our relationship with our customers and users, and the specific steps we’re taking to ensure compliance – both for Springshare and our client libraries. Emails You Receive from Springshare. Your privacy extends to the emails you receive from us. We will continue to send important operational emails to users, but communications including the Springshare newsletter, new product releases, training webinars, and SpringyCamp announcements will only come to you if you explicitly opt-in. You do not need to do anything now. We’ll contact you in the coming weeks on ways you can opt-in to receive Springshare emails. If you don’t respond to the forthcoming opt-in emails, don’t worry. We’ll consider that you opted-out of these emails, but you’ll be able to opt-in at any time on your “My Account” page (after May 25). It’s worth emphasizing that these new “GDPR features”, as explained in our GDPR Compliance Plan, will be available to all our client institutions around the world, come May 25. In other words, we are not limiting the GDPR-related privacy features of our tools to our EU clients only. 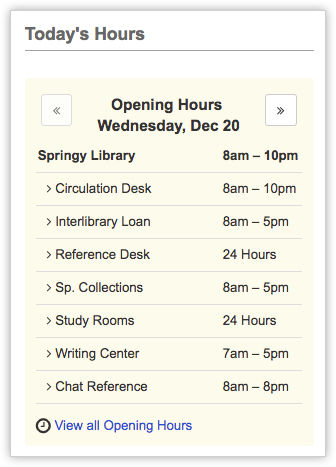 Any library using Springshare tools anywhere in the world can take advantage of these new privacy-related features. Thank you for trusting Springshare to handle your data with transparency and care. If you have any questions about these changes to our products or our policies, please feel free to contact our support crew or email your Springshare account manager directly. Interacting with our clients is the best part of our day. LibAnswers Groups Functionality is taking hold. LibAnswers is the complete multi-channel communication solution. It’s brimming with features. There’s a knowledge base FAQ, SMS/Texting, LibChat, a Systems and Services Management tool, Social Media Management, Query Spy, super robust statistics, the Reference Analytics module, Twitter integration, Widgets, a powerful Ticketing System, Public-facing Groups and more. Show us your good side. In a LibAnswers Platform system, you can create an unlimited number of public-facing groups. These groups can either be public or hidden/internal. This allows you to organize FAQs topically. You could have a group called Writing & Citing like they do in the American Public University System. Or, a group called Digital Media, like the one at Gwinnett County Public Library. You can create internal groups that colleagues use as an intranet, professional development, or work manual. These restricted internal groups are only visible to those who are logged in to your LibAnswers system. If you don’t want to restrict access to a group of FAQs by login, create a hidden group instead. Hidden groups are visible to those with whom you share the URL. This is often for use by faculty at a university, for instance. Using public FAQ groups, your patrons can find the answers they need more efficiently because you’re presenting them with a collection of FAQs that address their specific matter. We are familiar with this because it’s how so much of our searching today is made more productive. You can shop on a website and more easily find what you’re looking for by being able to narrow your search within a group like electronics. Your library handles so many questions and devising a way for them to be conveniently found is a great strategy. Once in those groups, people can discover so many more questions– to which they would also like the answers to — that they may not have thought of on their own. Do you like groups? Check (outside) this box. Springshare clients never cease to amaze when it comes to innovative uses of the features in our solutions. We give you groups functionality and you give us something completely outside the box. The United Nations – Dag Hammarskjold Library is one such client. Their Ask Dag LibAnswers system is not only immensely popular with 885 public answers available, it has employed the groups in a way that serves their particular users. If you’re not aware, the United Nations has six official languages that they support. 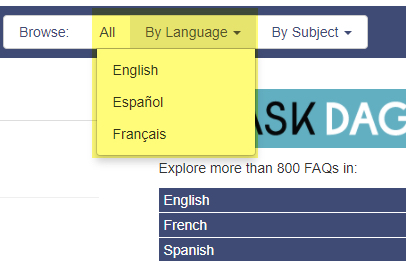 They have changed the label from By Group to By Language where they have English, Espanol, and Francais as the choices. In a word that is nearly universal, Bravo! Southern New Hampshire University, which serves 3,000 on-campus students and 90,000 online students, has an SNHU LibAnswers system that is firing on all cylinders. They are using their groups to serve as library website web pages. This allows them to create a webpage that has the thumbs up / thumbs down feedback feature that LibAnswers provides. It helps them keep their fingers on the pulse of what the students think of what they’re presenting. Turns out, it’s not hard to be a fan of groups! They’re designed to help your users swiftly get the answers they need. They are flexible enough to use in a number of public and private ways. And, you can even pick the color! Learn more about being a LibAnswers Groupie, contact Sales, if you don’t already have LibAnswers or need to upgrade to the Platform. We’re holding nothing back with our latest contribution to the Library world and we’re happy to announce our newest tool, LibTote – The Smart Tote for Librarians. It’s chock-a-block full of the features you’ve come to expect from the makers of LibGuides and it comes with our signature free training and free support. Let’s get to the bottom of this bag of chips. 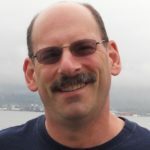 As big listeners with a fervent desire to keep up with the public’s needs, the development team began work on LibTote because of what they know in their bones. There are two kinds of Librarians in this world… and they both love Tote bags. In a time where compromise and self-restraint are for the ambidextrous, Springy techs decided to take on the Herculean task of solving this community’s age-old problem, How can I keep collecting, while managing my tote bags? And, beyond that, how do I optimize my tote use? Questions led to coffee and coffee led to bathroom breaks and the lonely walk back to the drawing board led to innovation. So, dear librarians, you won’t have to think twice about whether you need another tote bag like you need another hole in the head. You won’t have to choose the slinky with the company logo or the sad, tiny tootsie roll from the faceted crystal dish. No, not on Springshare’s watch. 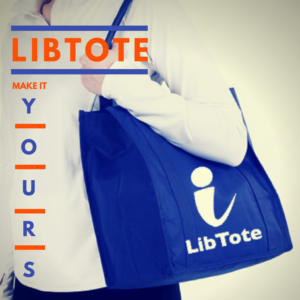 You get that tote bag and you put it in your LibTote! What’s the best thing about you? You have more tote bags than anyone you know. What’s your biggest fear? That there’s one more out there… and it’s great! Fear is for fanny packs. LibTote takes your fear and turns it into lemonade. Smart Expansion – Too big? Too small? LibTote says, too-dles to that kind of thinking. Socially Conscious – A Smart Tote ought to have a Sweet Heart. Blue’tote Functionality – It has to be wireless and hands-free. LibTote is a shoulders game. Tote-exa Customizable Voice Commands – Doubles as a vocal warm-up for your presentation. All the Stats Your Tote Can Hold – Numbers, like the hips totes rest against, don’t lie. To learn the details about LibTote, see the Platinum edition with the patented Cat’abiner and Conference Mode, read client testimonials, and check out upcoming training sessions, visit LibTote website. If you’re already a proud LibTote user, tweet us your #LibTote pictures and tag us @Springshare. We can already smell the cheesesteaks! Springshare is getting in on some of that brotherly love, March 20-24, as we head to Philadelphia for PLA 2018. You can expect an awesome lineup of presentations from yours truly and from your very own as we have some super guest speakers in the mix. We’ve got love for the near…and far, so we’ll do more than send a — wish you were here. We’re Facebook Live recording the guest presentations. To check those out make your way to our Springshare Facebook page at the designated Philly time and enjoy! You can even participate by sending questions via Facebook comments. We’ll do our best to get them to the guest speaker so you can get your answers in a Springshare minute, give or take. 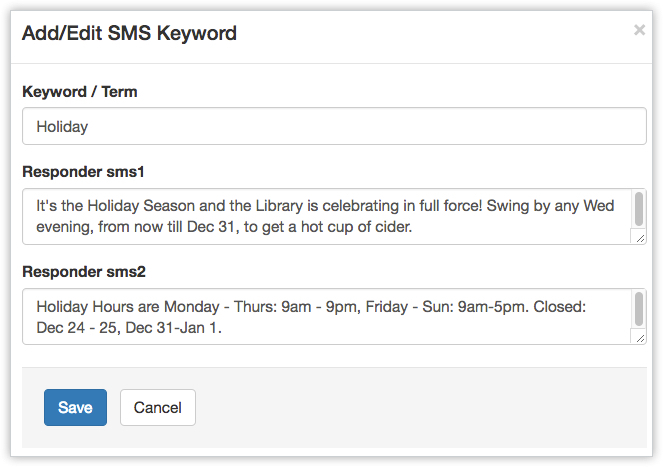 There’s been a lot of buzz around this cool, new integration: BiblioEvents and LibCal’s Spaces bookings. What?! You heard correctly. Want to know more? Drop by the booth to check out a live demo to see just how it works. We’re very excited to have 4 presentations from outstanding guest speakers. 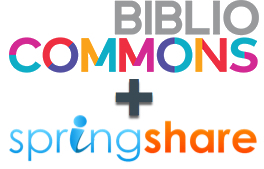 Make sure you get a seat to learn how they’re utilizing Springshare solutions to engage patrons and see how our library-centric tools work for Public libraries. Remember, we are recording all guest presentations live on our Facebook page. With more than 61 published guides and hits totaling in the thousands, Boston Public Library uses LibGuides for a variety of reasons from sharing information with the public, showcasing important events in Boston, to coordinating LibGuides with their instruction program. Greenburgh Public Library: Learn From Us! Greenburgh is using three different Springshare products. 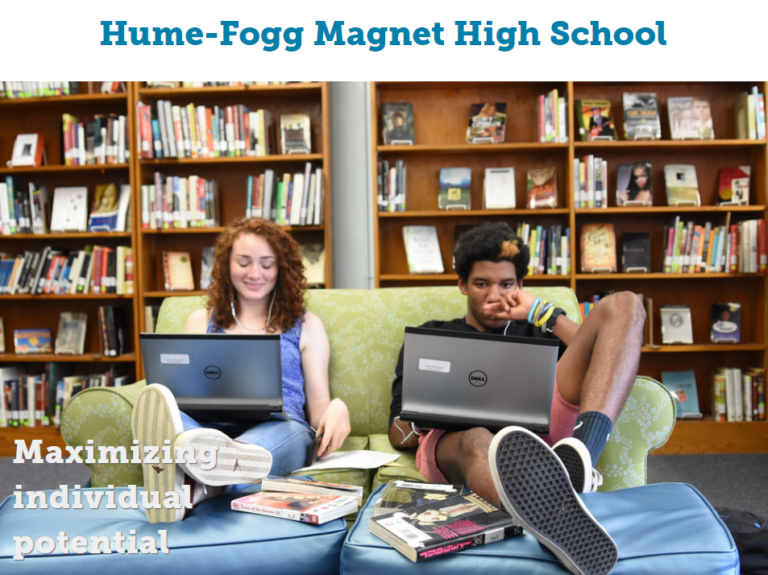 Learn from another library that has already gone through the process of creating buy-in with staff and incorporating that transition into daily routine. This presentation will focus on the importance of LibGuides in public libraries and will highlight the three most popular guides used by the community. 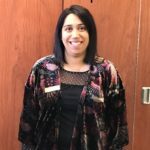 The Carnegie Library of Pittsburgh uses LibAnalytics to gather a variety of data points beyond just Reference, and then uses the built-in Analyzing Data tool to mine that data and support decision making.